In every aspect of a person’s life, they experience the ups and downs that happen to us all. This is true with your oral health, as with every other aspect of your life. Dr. Theurer and his friendly, well-trained team are here for you to make sure that your dental health is optimum and stays one of the “ups” in your life! Because we care about you and your loved ones, we are excited to offer an amazing new dental procedure that can heal gum recession. It is called the gum rejuvenation technique and it has so much going for it over traditional methods if you need gum surgery. This gum rejuvenation technique is the latest in dental oral health care and only a few dentists even have the skill to do this. This is why we are so excited to offer it to you! We want your mouth to be happy and healthy and free from gum recession. 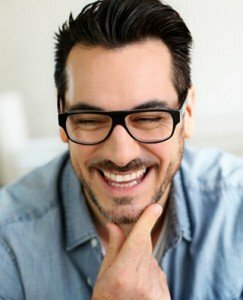 If you have ever wondered how to rejuvenate your gums, this technique is the latest in dental oral health care. Only a few dentists have the skill to do this, but we are excited to offer it to our Sugarhouse and Salt Lake City patients! We want your mouth to be happy, healthy and free from gum recession. While this gum rejuvenation technique is new, it has been tested thoroughly and is remarkably safe. In fact, gum rejuvenation is much less invasive than traditional gum surgery, which involves gum grafting. Gum recession occurs when your gums pull up and away and expose your tooth roots. Gum recession has a myriad of causes and can have severe results, from gum disease to even tooth loss and bone deterioration. Traditionally, the procedure for this was gum grafting, which repaired the gums, but was a remarkably invasive treatment. It involves cutting soft tissue from the roof of the mouth and grafting it to the gums. Not only can this be inconvenient and require a rather lengthy recovery period, the surgery itself can be painful. We would love to tell you about our pinhole gum rejuvenation technique in lieu of traditional and painful gum surgery. PAIN FREE | Traditional gum surgery and gum disease treatment was very painful. The new The Sugar House Dentist pinhole gum rejuvenation technique does not involve cutting. It is gentle and almost completely painless. You will be extremely pleased (and maybe relieved!) to discover how comfortable this gum recession treatment is. SHORTER TREATMENT TIME | In the past, one gum recession treatment could take up to one or two hours of surgery, and a complete treatment could take much longer. Using the new pinhole gum rejuvenation technique, we can treat 4-6 teeth per hour This means that we can treat all your teeth in one day! You can make one trip to our comfortable office to repair your gum recession. OPTIMAL | The gum rejuvenation treatment can be the optimal treatment for gum recession. You can be assured that it is as effective as traditional methods, if not more effective, and is long-lasting. LESS INVASIVE | Whereas the original gum surgery required hours of time and cutting the roof of your mouth and your gums, the gum rejuvenation treatment is the size of a pinhole. Really. FASTER HEALING | Traditionally, your healing time for gum recession surgery would have been three weeks. Guess what the recovery time is for one gum rejuvenation treatment? One day! You can usually eat dinner that night! If you have gum recession or some of the symptoms of this problem, please call us in Salt Lake City. You could be an excellent candidate for our new gum disease treatment. We are excited to help you with this issue and give you the use of your healthy teeth, mouth and smile in a miraculously short time if you are in the Sugar House – Millcreek UT area! Please visit our gum rejuvenation website to learn more about this amazing treatment!